We hired the princess castle for our daughters birthday party which we had to cancel, these lovely people were so understanding and let us rearrange for a different date.The castle was perfect, very clean and the children loved it. A very friendly family run business who provide top quality products and service. Would highly recommend ??? We hired the Disco Dome for our wedding and I can honestly say it was worth every penny. The children absolutely loved it (so did some adults).Both Hannah and Jamie made the transaction as easy as possible, set up and took away for us.Highly recommend to anyone looking at hiring a bouncy castle!! suitable for children age 5 and above and perfect for adults. 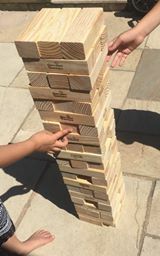 The Mega Hi-Tower consists of 58 blocks measuring 18cm in length making this impressive game really GIANT and stands at approximately 1.5 meters tall at the start of the game, it is apparently possible to get upto a whopping 2.3 meters tall this is where the challenge really kicks in. 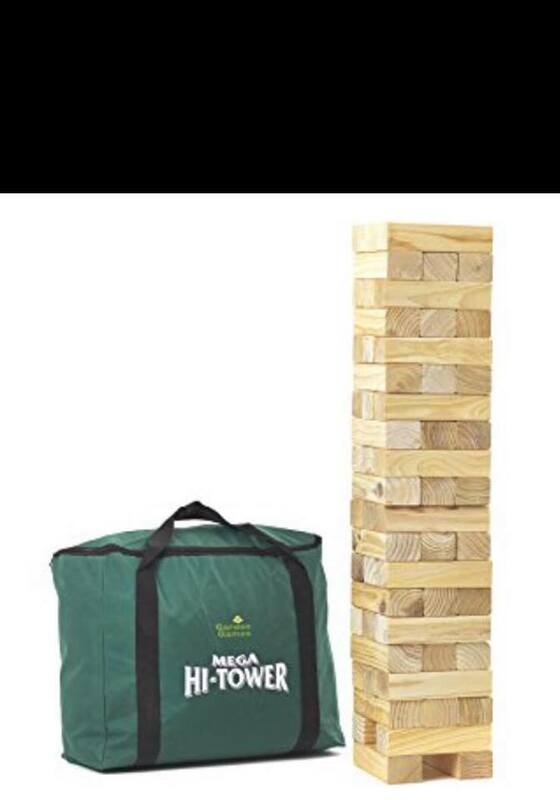 Only available as an add on when booked with a bouncy castle.